We weren’t kidding when we said this summer was going to full of awesome movie-themed recipes and giveaways! We’re really excited about this particular recipe because it has been a long time coming! That’s right, it’s our But Why’s The Rum Gone Mocktail! 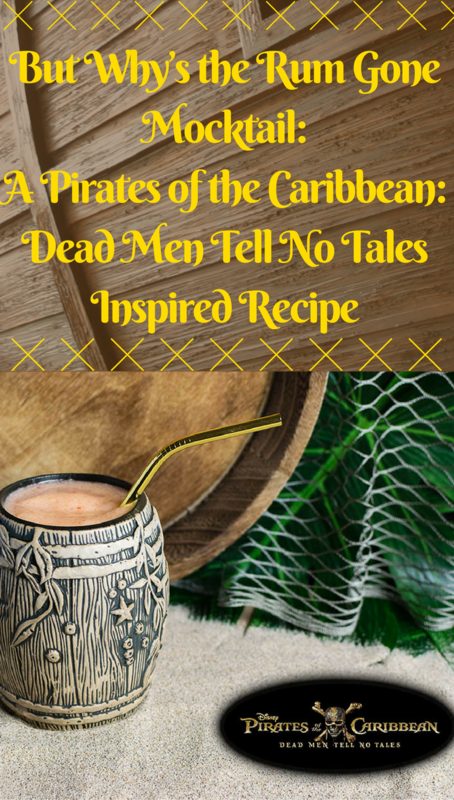 We are really excited about the release of Pirates of the Caribbean: Dead Men Tell No Tales and wanted to create a recipe that was fun for the whole family! 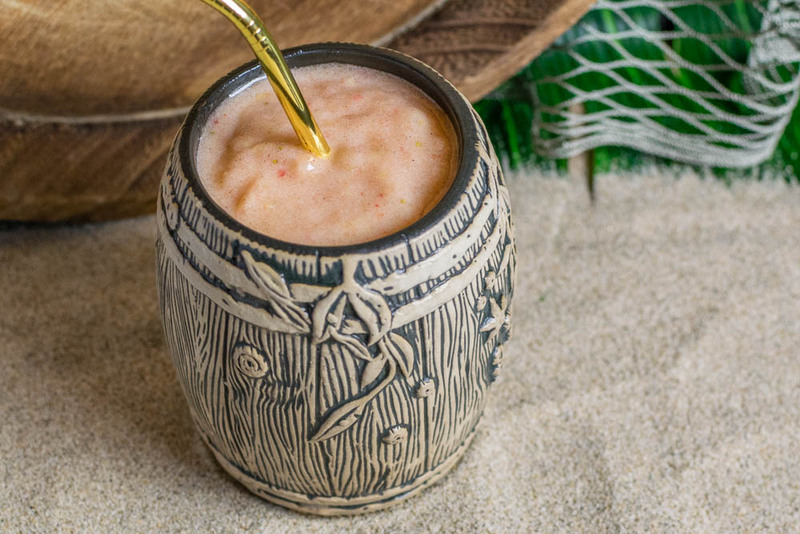 When we created our But Why’s The Rum Gone Mocktail, we were inspired to create tropical style drink that the whole family could enjoy together. 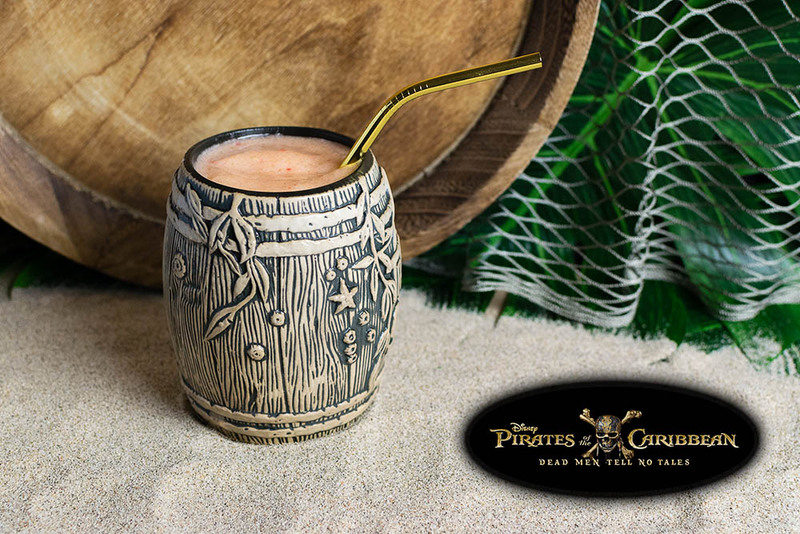 When we were first introduced to Captain Jack Sparrow, one of his most popular lines was, “But why is the rum gone?” Playing upon this, we used different fruits along with some allspice to create a flavor that would please anyone from the seasoned captain to the youngest swabbie. 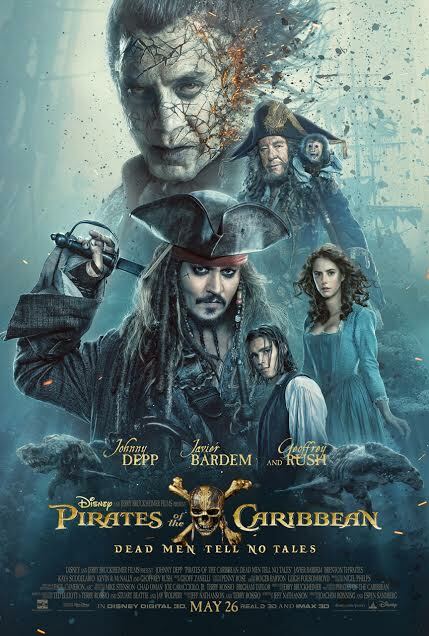 In addition to our family friendly But Why is the Rum Gone Mocktail recipe, we are giving away 5 pairs of screening tickets for a sneak preview of Pirates of the Caribbean: Dead Men Tell No Tales in IMAX 3D! The screening will be held at Arizona Mills IMAX on May 23rd. The screening starts at 7 pm and the winners should arrive at 6:30 in order to guarantee their seating. Winners will be selected on Saturday, May 20th. Good luck! Serve into 2 large tiki mugs or 4 smaller ones. Nothing like a RUM cocktail with a tropical flair to it! Looking forward to revisit captain Jack antics at the cinema soon! Well I know hubby is excited to see this. He has watched all of them so far. As for the drink…my oldest daughter would LOVE it…she is the rum lover here. I use it in rum balls!! Your blog is so clever. I always enjoy reading it. These cocktails sound like they will be perfect as a signature cocktail and my friend’s wedding coming up!! Mmmm! What a great idea! My kids are grown now, but I can remember when we went to see the first movie and they were obsessed! Now that they are grown, I guess we could add the rum and enjoy it together. Nice giveaway too. You have just given me a new summer drink for the pool YAY! I love the idea of doing it as a mocktail for the kiddos to enjoy, but I would of course add some white rum to mine 😉 Thanks for the delicious recipe! I’ve STILL never seen P of the C! Need to check that off my list… while drinking the mocktail. Except, I think I’ll add the rum! I love the idea of the ‘rum gone’ , very clever to come up with a mocktail for the whole family. I like how you’ve added allspice to the fruits, one of my favourite spices, delicious. Ha ha , I enjoyed reading this 🙂 I love the ‘down on his luck – no rum’ concept behind this! My teenage daughter is the mocktail enthusiast in the family – she will love making this one for us! Can’t wait to see the movie! Yummy I think I can actually make this now! I have all the ingredients! Sounds so refreshing!